Antony Hegarty is a world-renowned English singer and musician. He leads the art pop band Antony and the Johnsons. Born in Chichester, West Sussex in 1971, his family moved to the San Francisco Bay Area of California when he was young. He became interested in British synthpop and joined the Experimental Theatre Wing of New York University in Manhattan in 1990. Hegarty founded the performance collective “Blacklips” with Johanna Constantine. The ensemble performed in New York drag bars and also directed late night theater productions. 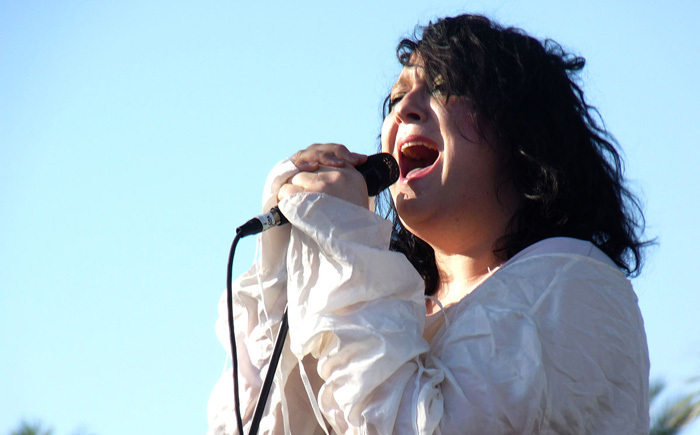 Antony Hegarty wrote a number of songs in the early 1990s and formed “Antony and the Johnsons” in 1997. He released Antony & The Johnsons, a self-titled collection of sophisticated pop songs with noirish, expressionistic ambiance sung in a distinctive vibrato baritone, in 2000. The androgynous singer’s striking singing tone was compared to that of Nina Simone’s by various music critics. His follow-up, I Fell in Love with a Dead Boy, came out in 2001. His 2005 album, I Am a Bird Now, with guest performances by Lou Reed, Boy George, Rufus Wainwright and Devendra Banhart, received widespread critical acclaim. The Crying Light, Johnsons’ third album, was released in January 2009. It eventually reached number 1 on the European Billboard charts. Hegarty released Swanlights, his fourth studio album, in 2010, which received good critical reception and had success on several European charts. Antony Hegarty was “guest of honor” at the 2012 Melbourne Festival. His 2005 album, I Am a Bird Now, was awarded the Mercury Prize for the best UK album of 2005.